Chijindu Ujah ran a 9.96 100m in Hengelo on Sunday to move to third behind only Linford Christie and James Dasaolu on the UK all-time list and become only the fifth British man to dip under the 10-second barrier. As well as moving ahead of Dwain Chambers in the all-time rankings, the 20-year-old also broke Chambers’ UK under-23 record with his time that saw him finish runner up to 2008 Olympic silver medallist Richard Thompson at the FBK Games. Behind them, Harry Aikines-Aryeetey equalled his personal best with 10.08 for fifth in a race where 10.19 was only good enough for ninth – that time belonging to James Ellington. Ujah’s times have been steadily falling this season, the Jonas Tawiah-Dodoo-coached athlete previously having a 100m best of 10.26 from 2012. He ran a wind-assisted 10.14 at the Great CityGames in Manchester the day before a legal 10.17 at the Loughborough International having also clocked a 60m PB over the winter at the British Championships in Sheffield. Ujah was just one of a number of British athletes to achieve personal bests this weekend. His training partners Sean Safo-Antwi and Deji Tobais clocked 10.14 and 10.18 respectively in Regensburg, while Jodie Williams won the 100m with 11.14, her quickest time ever but one aided by an illegal wind. Bianca Williams won the 200m with a 22.93 personal best, while Shaun Wyllie bettered his 1500m PB with 3:41.43. Also in 100m action in Hengelo was fellow Tawiah-Dodoo-coached athlete Greg Rutherford, the Olympic long jump champion having finished as runner up to Louis Tsatoumas with a best of 8.24m before clocking 10.44 over 100m in his first competitive outing over the distance since 2011. Joining him in Hengelo was Laura Muir who impressed on her first race of the season, the 21-year-old clocking a 1500m PB of 4:02.91 to finish runner up to Sifan Hassan with 4:01.79. In that same race Hannah England ran a season’s best 4:05.27 for ninth. European 800m champ Lynsey Sharp ran an 800m PB of 2:00.09 for fourth in a race won by world bronze medallist Brenda Martinez in 1:59.24. Jenny Meadows was one place behind her with a season’s best 2:00.51 and she was followed over the line by fellow Brit Shelayna Oskan-Clarke with 2:01.95. William Sharman won the 110m hurdles with 13.32 as Lawrence Clarke ran a season’s best 13.41 for third behind Xie Wenjun but ahead of 2011 world champion Jason Richardson. Also among those in action at the FBK Games was world decathlon record-holder Ashton Eaton who continues this year’s focus on the 400m hurdles. 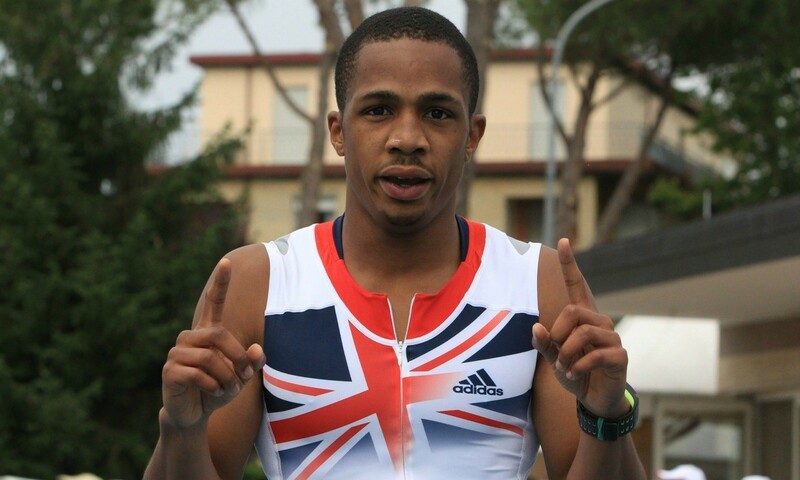 He smashed his personal best for the event with 49.07 in finishing runner up to two-time world silver medallist Javier Culson who clocked 48.66. Caterine Ibarguen continued her winning ways in the triple jump but it didn’t go all her own way as world indoor bronze medallist Kimberly Williams leapt into the lead with a meeting record 14.56m in the final round before Ibarguen bettered it with her winning 14.63m. The day before and Dina Asher-Smith was also among those to post a personal best. The European junior champion ran a sub-23 second 200m for the first time with 22.98 in Birmingham, while Hanna Tarver ran an 800m PB of 2:02.13. Also in Birmingham, Chris Baker cleared a PB 2.28m in the high jump, while Allan Hamilton leapt a long jump PB of 7.81m.